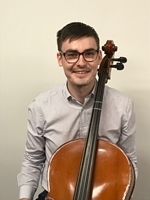 Andrew Wilson is a highly regarded cello teacher based in Sydney with 22 years of teaching experience at a number of colleges, music academies, and private schools in Sydney and over 12 years of performance experience as a former orchestral musician in the Sydney Symphony Orchestra ('SSO') and Opera Australia Orchestra ('AOBO'). Andrew likes to build a rapport with his students and their parents, carefully assessing strengths and best learning styles of individual students in order to adjust teaching methods and planned progression of technical and artistic achievements for each student. 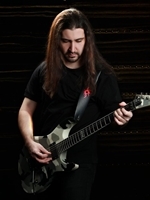 He is a wonderful musician who is active as a freelance performer and is a positive caring teacher who provides expert tuition with a well rounded approach that enables his students to enjoy and respect the learning experience. 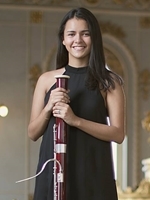 A graduate of the Escola Superior de Musica de Catalunya in Barcelona, Ester has performed extensively as a soloist and in chamber ensembles. 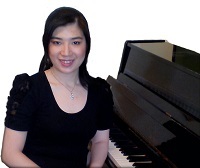 She has performed at the Sydney Opera House, and is a qualified teacher of the Suzuki method of learning piano. Josh grew up in a large musical family in Sydney's North Shore. 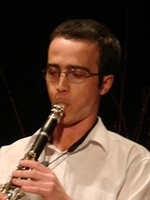 He began playing clarinet at the age of 10, frequently attending the NSW Clarinet Society events and workshops as a child. He then studied classical clarinet at Sydney Conservatorium of Music. He has an interest in many musical genres. 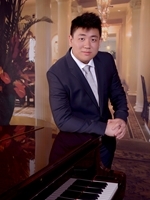 Since graduation he has explored an interest in the EWI (Electronic Wind Instruments) and improvisation. 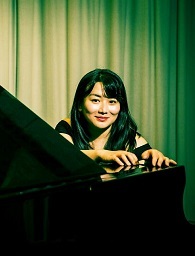 Junko Nishimura is a classically-trained pianist and an experienced and qualified exponent of the Suzuki Method for teaching piano. 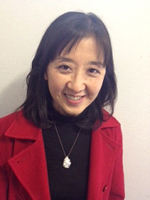 Trained in Tokyo and in Australia, Junko has been teaching and performing since childhood, and has been teaching the Suzuki Method for 15 years. Karoline has 14 years of teaching experience and teaches various genres: Classical, Jazz, Blues, Song writing/Contemporary Piano. 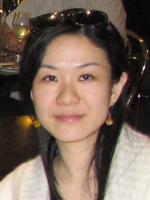 She is also incorporating the Suzuki method in her classes and is currently undertaking Suzuki teacher training. 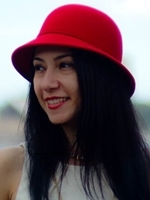 Apart from music making, Karoline has finished her studies in human anatomy at university. This knowledge helps her students to play with beautiful tone while using efficient and safer movements. She has also treated musculoskeletal conditions in the last 9 years and taught human anatomy for the last 6 years. 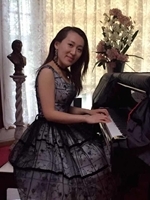 Riri (pronounced "Lili") Matsuyama , is a product of the advanced Suzuki Method and has completed the entire repertoire, including the Japanese extensions of the Suzuki Method, for Violin. She has been studying violin since she was aged 4. 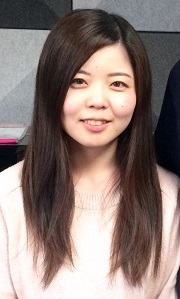 Lili has come to Australia to experience teaching violin using the Suzuki Method, in English, so as to reach more students from more backgrounds than is possible in Japanese alone. 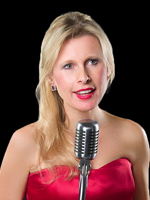 Louise has been a professional performer for 20 years and is an accomplished vocal tutor of some 18 years; she has a wealth of knowledge and experience to pass onto her pupils from beginner vocal students right through to budding professionals. Louise holds a strong belief and has experienced through her years of teaching that singing lessons can change lives. Louise is a contemporary vocal tutor, her styles include; Popular, Rock, Musical Theatre, Jazz, Soul, R n B, Blues, Funk, Pop/Classical crossover, Folk and Country. 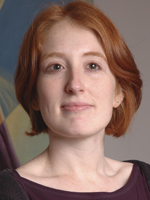 Rachel Howie is an accomplished performer and experienced flute teacher. She has performed with the Sydney Symphony, Tasmanian Symphony and Queensland Symphony orchestras. In 2018, she was selected as the Sydney Symphony’s ‘flute fellow’. 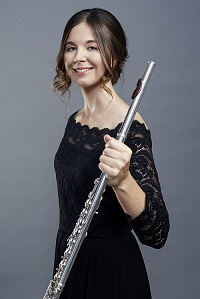 She has been principal flute of the Australian Youth Orchestra and the Canberra Youth Orchestra, with whom she performed as a concerto soloist. Having studied with some of the world’s leading flute teachers, Rachel has a wealth of knowledge to draw on in her teaching. She completed a Masters in Music at Sydney Conservatorium with Emma Sholl, intensive studies with Trevor Wye in the UK and a Bachelor of Music (First Class Honours) with Vernon Hill and Virginia Taylor. She has also participated in masterclasses with renowned teachers in the UK, The Netherlands, Austria and Canada. Rachel tailors her lessons to suit each individual student’s needs and personality. She enjoys helping students work towards their full potential, but above all aims to foster a life-long love of music. 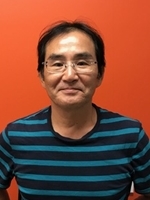 Ted Kusano commenced tutoring Flute and Saxophone students at The Lane Cove Music and Cultural Centre in 2017. 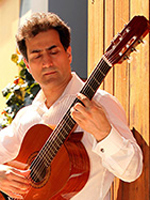 He is also a Professional Instrument Repairer running his own business in Artarmon, Sydney NSW. Ted greatly enjoys interaction with and giving back to his local community. Ted teaches music because he loves it. Nothing makes Ted happier than seeing children actively learning and enjoying their musical experiences. He is very passionate about making sure that they have good instruments. He likes to say "You cannot go anywhere with flat tyres on a car" and an instrument is the same. Ted encourages his students to understand that regular practice and participation are very important to their individual progress.